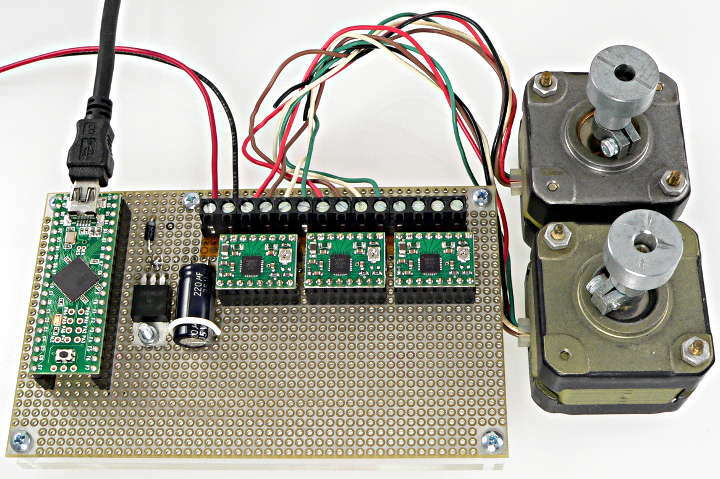 The AccelStepper library allows you to connect multiple stepper motors with controlled acceleration and deceleration. AccelStepper is compatible with all Teensy boards. It can output signals to control transistors, or Step & Direction signals to stepper motor driver boards. You can create multiple AccelStepper objects, giving a unique name to each motor. 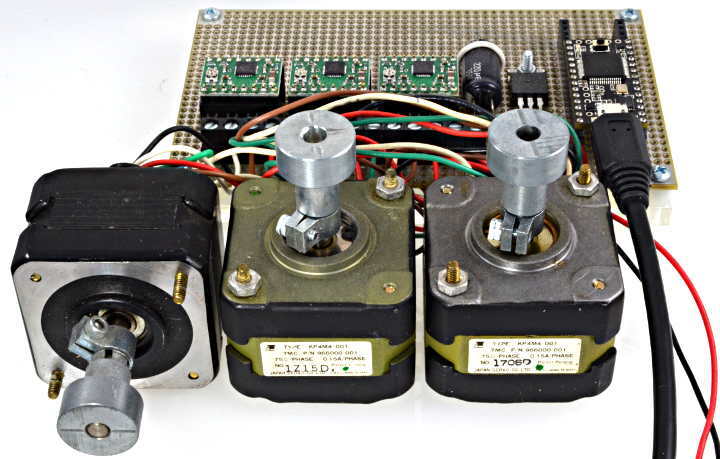 AccelStepper can manage any number of motors, as long as you repetitively call their "run" functions. Read the motor's current absolution position. Please refer to the official AccelStepper library documentation for more details.